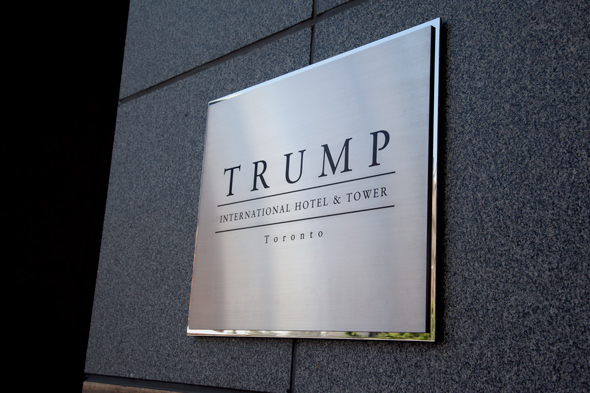 The Trump Hotel Toronto combines luxurious hotel rooms and condominiums in a primo location. Located at Bay and Adelaide, the building is typical Trump--pseudo art deco, gilded gold upon gold, showing off a "more is more" philosophy. 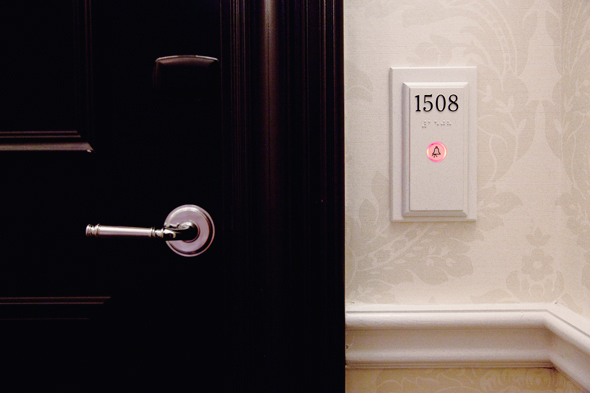 Unique to Toronto is the dedication to a residential feel; each room has its own doorbell and hallways feature jutted-out walls to enclose the doorways, giving you more privacy. Featuring a 12,000 sq. 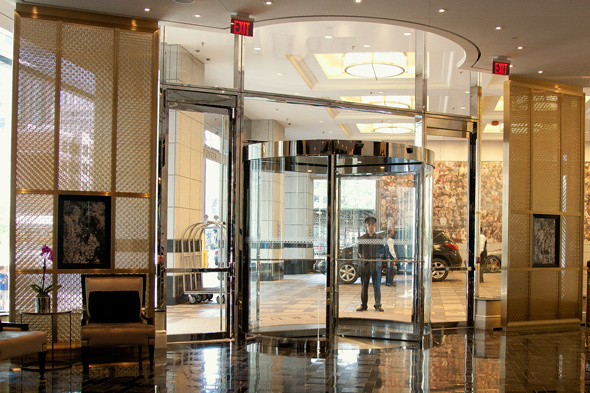 ft. spa, the Suits Lounge for Bay street bullies, and a sumptuous 31st floor resto lounge ( Stock ), Trump has put careful thought into location, amenities and service. Guests are treated well, bell hops are intuitive, and concierges are on hand to provide guests with everything the Donald himself would expect, except the falling glass that plagued them just before opening in March. Even though the name on the building screams Trump, the man himself is actually a minority shareholder in the project, with majority shares going to Talon International Development Inc. , which is in turn owned by a couple of Canucks. 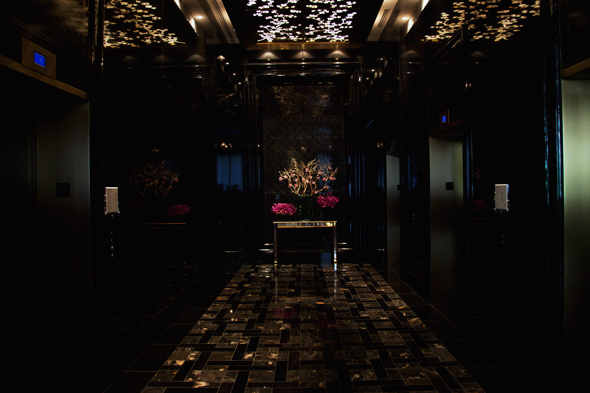 The lobby is a glittering expanse of glass upon sparkly granite. With sparse furnishing and nothing soft on the feet, the sound is amplified much as it would be in a Las Vegas casino, and the effect is just as garish. A large piece of crystalized artwork flanks the front desk, where they are happy to explain every polished item in great detail. Rooms are meticulous, elegant and well-appointed, but ours felt as warm and sterile as a hospital room (other than the heated floors in the bathroom of course). Trump is playing it safe with a 'Champagne and Caviar' colour palette that is echoed throughout common area and the rooms themselves. It's a safe choice to assume that people will be drawn to the shiniest object, and just adding a few luxe textiles would have helped distinguish them from the stiff, museum-like vibe they're emulating. 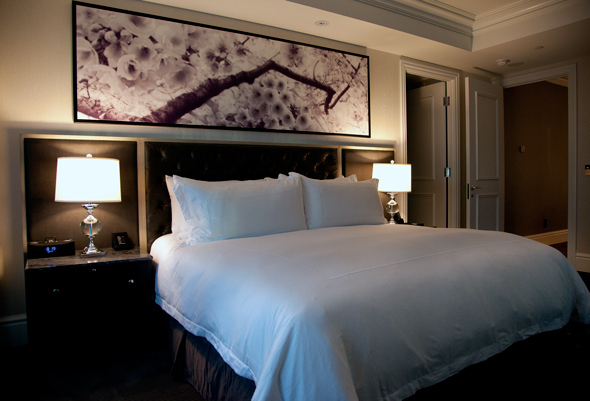 To clarify, our suite was fine--as it should be for the price ($395 to start). 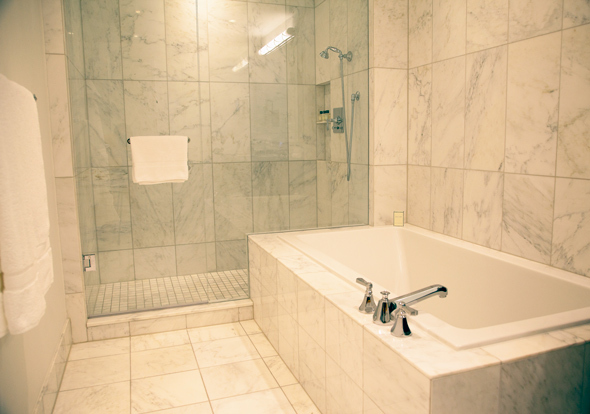 The bathrooms are a marble showroom, anchored by a deep soaker (non-Jacuzzi) tub, and separate rain soaker shower with an in-mirror-TV to entertain you while you brush your teeth. 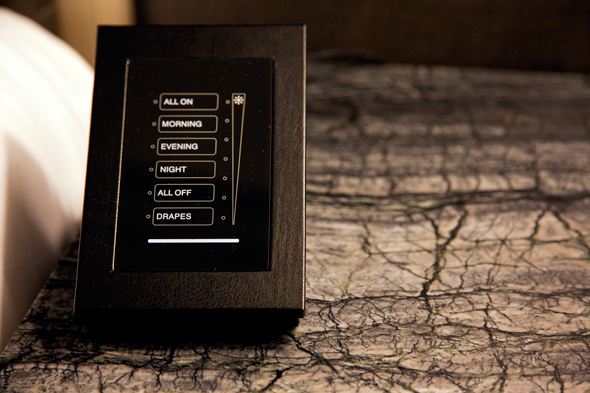 Rooms feature all the technology you would never require, but greatly admire; bedside controls for the curtains curtail the elbow-poking of the classic "you go close the blinds" fight, HD-TV's, iPod docking stations, Wi-Fi, and Nespresso coffees to keep you buzzing during daylight hours. 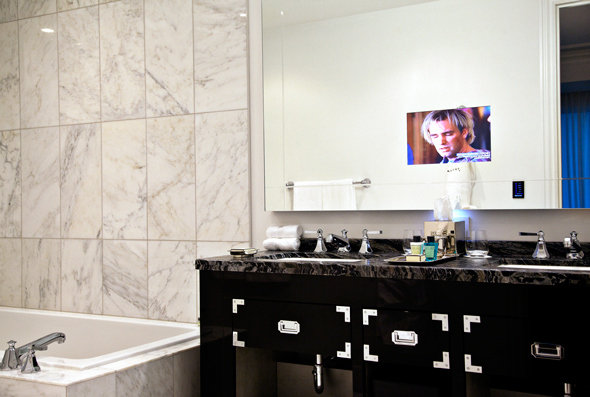 Suites offer a separate sitting room with a fireplace; pull out couch and powder room. For those 1-percent-ers looking for more permanent accommodations, rest easy; there are still a few plum condos available (starting at just $1.2 million), which include a private elevator so you don't have to share the ride with a bunch of tourists. With bragging rights on the 'fastest residential elevator' and 'highest residential building,' you get a sense they're fighting off some insecurities. In such a burgeoning market, with Thompson Hotel , Shangri-La and most new mixed use hotels looking to gain investors by securing tenants, Trump needs to turn on the glamour and charm the pants off of not only Toronto, but its tourists as well, and it seems to be off to a pretty good start.